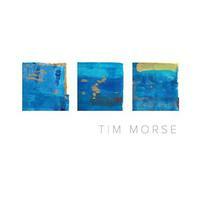 This new disc from Tim Morse should appeal to fans of melodic progressive rock. While most of it leans toward older textures, there is a modern edge to it. It's often willing to sit on the mellower side of the spectrum, but still manages to rock out at times. This is essentially mainstream AOR prog, but it's exceptionally effective. This is a satisfying and powerful release that fits well within his catalog. The keyboard texture that starts this makes me think of Geoff Downes just a bit. The cut shifts from there moving out to some killer AOR prog. This is melodic and very tasty. It drops to more of a pop rock vibe for the first verse (although there were some vocals in the chorus section that started the tune), but proggier elements emerge gradually. As it moves out into the chorus it becomes more full AOR prog again. When it moves back out to the verse the cut doesn't drop down as far as it did for the first verse. I love the killer prog bridge that emerges later. The keyboard dominated section after that has some definite middle Eastern elements that are so classy. While it makes its way back to the song proper, the extended outro around the five minute mark takes it into Yes-like territory. At roughly 11 and a half minutes of music this is the epic of the set. It starts classy and a bit tentatively. It works out to a rather jazzy kind of jam from there that makes me think of Supertramp a little, but the meatier side of the band. This is a real powerhouse with some killer sections and a lot of range and changes. I really like the melodic, mellower movement after the two minute mark. Don't get comfortable, though. A transition section gives way to a dramatic and rather crazed jam that has hints of King Crimson and Rock In Opposition built into it. The guitar sounds bring a definite KC element as it continues to evolve, but then it shifts toward a fusion arrangement from there. The guitar sound fits that well, too. It eventually makes its way to a dramatic and slightly odd (in a great way) jam from there. That serves as the backdrop for the next vocal movement in a decidedly heavy way. From there we're taken into a mellower instrumental section that's quite tasty. A piano takes control at the end of that. The tune works to a mainstream prog pop arrangement for the next vocals. More hard rocking prog emerges again in a killer jam further down the road. I dig the hard edged guitar sound that enters as the next part of the instrumental movement is heard. Keys solo over the top and the whole thing just builds upward until it plateaus and gives way to a melodic prog movement for the next vocals. That movement eventually takes the track to its closing. Jazzy piano starts this track. As the vocals join the tune has a bit of a jazz swing to it. This is mellower, but very tasty, too on this first voice section. The piano takes control after the vocals drop away. The number keeps evolving with that mellower jazzy texture as this continues. There are various changes that emerge, but that more sedate jazz element is the driving thing here, brought home in particular on the vibes solo. This has some cool elements (the backing female vocals as one) and a great groove. A longer cut, this is over nine minutes long. It comes in with a powerhouse progressive rock jam that's drenched in synthesizers. It works out to a more melodic, but still energized, movement for the first vocals. More synthesizer soars over the top, and the cut continues to evolve in intriguing ways. While this changes a lot, it remains mostly melodic until around the half-way mark when some seriously hard rocking jamming emerges. We're taken through a number of shifts and changes in that powered up style (with some vocals, too) before it eventually drops back out to more of a melodic movement again. The number continues its evolution throughout the course, and gets a bit more rocking at times, but never again reaches the hard edged peak that it hit mid-track. A cool keyboard driven movement emerges at the start. The cut moves onward from there in style. This has more of a folk prog vibe to it as the vocals come over this backdrop. Still, there are fusion elements in the mix. The instrumental arrangement has some particularly intriguing stuff as parts of the over layers and augmentation here. This is a pretty cut about a ship lost at sea. If you look up the title, you'll find that it's a historic event. I love the synthesizer textures that join after the two minute mark. It drops way down for a piano and violin movement as that section reaches its apex. When it starts to rise up from there after the three minute mark it really hits its most rocking point up to there. The violin continues to paint lines of sound over the top as things build. Then a guitar solo emerges as this gets really heavy. The exploration continues sans vocals as the keyboards get a solo after that. The piece hits a resolution or transition phase that eventually takes it to a piano based movement for the return of the vocals. Other instruments are heard over the top as it continues. That movement eventually ends the cut. More of an energetic progressive rock texture is at the heart of this. I love some of the synthesizer sounds over the top. Overall this is sort of an accessible prog cut that has a lot of mainstream rock textures at its core. There are some intriguing shifts and changes that elevate it, though. An extended and intricate mellow instrumental movement serves as the opening section here. 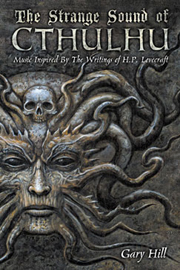 Eventually this drifts to a balladic prog section that has the vocals built into it. Around the three and a half minute mark this explodes out into a harder edge jam with a killer riff driving it. They explore that new musical terrain as it continues. Then it works out to a still powered up yet more melodic movement for the next vocals. We're brought back out into some mellower stuff at the end for the final section of the album.